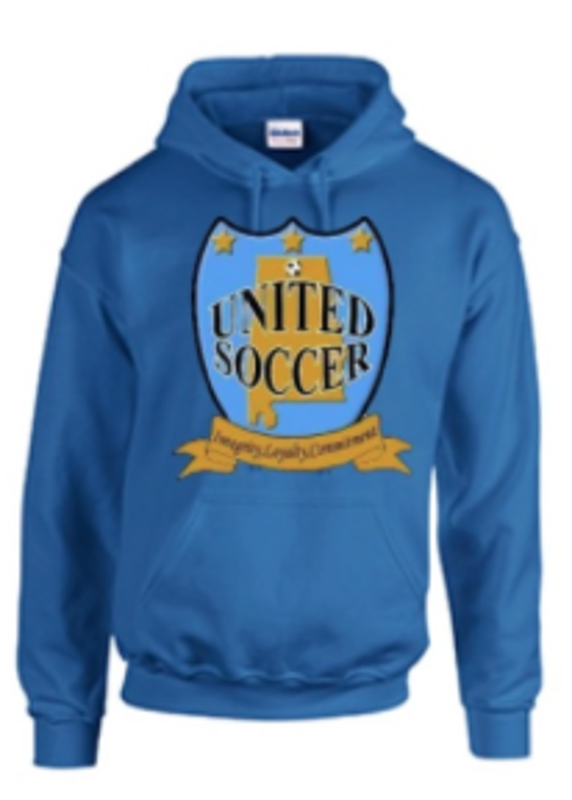 Shop for United Soccer Club apparel for superfans & athletes alike! 10% of your Spiritwear purchase go directly back to USC! The easiest annual fundraising you will ever do to support your athlete's soccer club! Each year, you will have the opportunity to purchase a uniquely designed United Soccer Club scarf and beanie to commemorate your child's playing years with USC. These super soft acrylic items can be worn proudly, displayed uniquely, or just stowed as sentimental keepsakes of your athlete's soccer years! USC will move to all online ordering, payment, and direct shipping beginning with the Fall 2019 season. Detailed instructions will be provided at May 2019 tryouts for athletes who plan to play Fall 2019. Orders placed before June 1 will ship priority in 4-6 weeks. Orders placed after June 1 will ship in order and can take up to 8 weeks. Any orders placed throughout the season, will ship when inventory is available. Estimated ship time will be 2-3 weeks. 2. Athlete's age division. There are different packages for the different age groups. Boys & Girls will have the option to purchase both kits, but only 1 color will be required for each group.